Ginny has been teaching Pilates to men, woman, children of varying ages and physical challenge condition. She also oversees Teacher Training Programs that offer continuing education of certified teachers of all disciplines. She was accredited as the1st Stott Pilates (Toronto) Instructor Trainer in 2008 and is currently the Pilates Academy International (PAI, New York) Instructor Trainer. 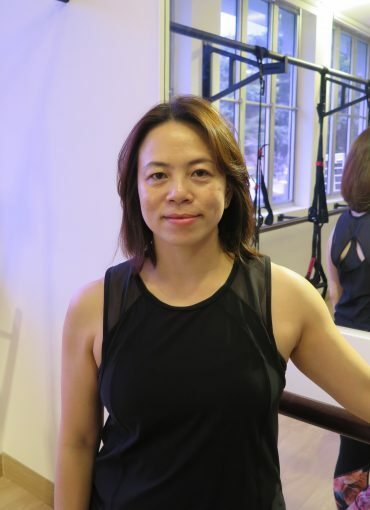 With more than 15 years of experience in Pilates & her formal trainings in Yoga, gyrotonic and gyrokinesis , she has trained 100's of students and certified students throughout the region of Malaysia, Singpore, India & China. She was formally a Certified Stott Pilates Instructor trainer for Special Populations in Rehabilitation & Pre & Post Natal . In 2004, she was certified as a AIS Instructor & Instructor Trainer ( Active I solated Stretching by Aeron Mattes) , a method of stretching known to work with the body's natural physiological to improve circulation and increase the elasticity of muscle joints and fascia. Ginny is also the Master Trainer for The System of Smart Movement - Core Barre, CORE REFORM as well as Core Suspend.